Phantasmat: The Dread of Oakville is rated 3.9 out of 5 by 20. Rated 5 out of 5 by EzgiMelody from Perfect !!! I Adore this game. Original and Beautiful Story Line with Beautiful HOG. s - Thank You Big Fish. Rated 5 out of 5 by jenjarrett from Solid good game This game is just good, it's basically all you need to know. 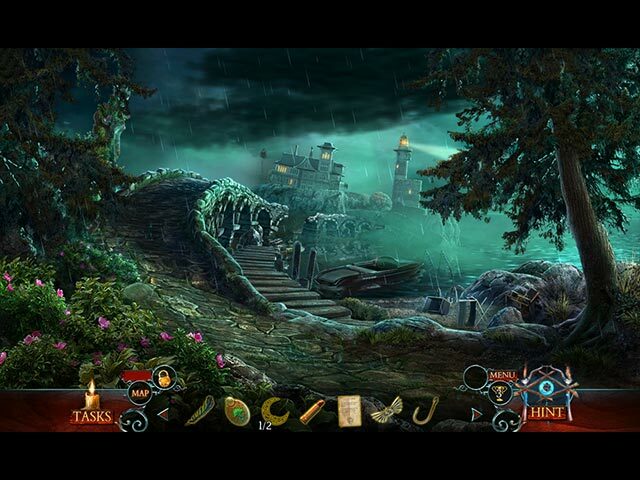 Scary at times (you may be startled a few times if you are sensitive to ghost appearances), with masterfully crafted atmosphere, emotional music and original, but really not too hard puzzles. It was a pleasure to play, and it can be a good addition to your collection of good games. Rated 5 out of 5 by zeldaqn from WOW There is not one bad thing I can come up with on this game. First of all you have custom settings (my fav). In addition to the incredible graphics, they have included unusual items that would work in real life and are not the boring old must have hammer for nails when a rock will do. I thought the variety of puzzles (which were not easy) and the new play on the hos was absolutely awesome. This should definitely be a five star game. I Can't wait to look up more from this dev that I might not already have. Gotta go play the bonus chapter now muhaha. Rated 5 out of 5 by radarsweet from Great Game Play! This is another 'Phantasmat' series winner. This game captivated me right from the start. For all intent, this could have been a CE. The mini-games were, for the most part, fun & challenging. I found some of them to be enigmatic, & skipped them. Some are quite time consuming, but fun to work on & figure them out. There's a jump-map, which I found very helpful. 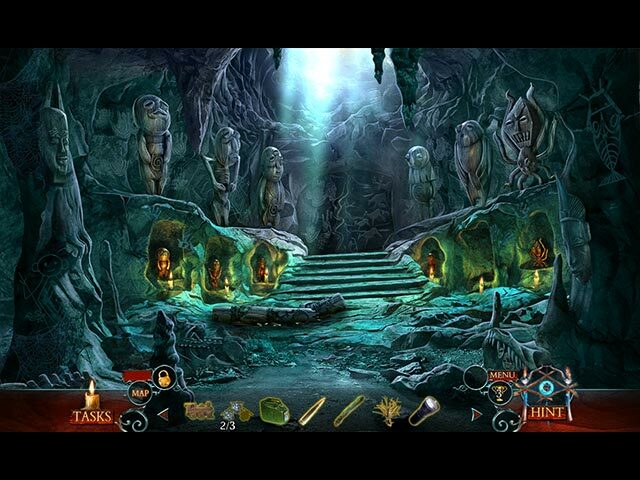 The hidden object scenes were awesome! It wasn't just the same old, tired lists. There are morphing items, multiple items & a few others. Plus, you never play the same HO scene twice. That, I loved! Excellent voice-overs. And with a story line you could follow without being bored to death with too many details, it makes for an entertaining afternoon! I would highly recommend this game, & hope that there will be new games in the series very soon. Rated 5 out of 5 by pennmom36 from Oakville 1965 Population 11,10,9,8,7,6,5,4... Possible 3 THE APOCALYPSE IS COMING! Crazy ole Aunt Mae tried to warn the citizens of Oakville not to chop down that tree, after all she has seen things you wouldn't believe. Nonetheless, nobody took her seriously and now the residents of Oakville are disappearing, only to return as the undead! Mr. Nightingale has been unleashed and is seeking revenge! Looks like you'll never make it to your book signing, Mr. Nightingale has other plans for you, the question though, is Mr. Nightingale ready for you? The original Phantasmat is still my all time favorite game, no other game has yet to hold a candle to it's one of a kind storyline and unusual features with the best creep factor of all time. I purchased the Collector's Edition of this game and after playing the entire game including the bonus chapter, I felt a little bit disappointed:( The demo is definitely the cream of the crop and it leads you to believe that the entire game will be action packed and full of frightening, angry zombies, after all they do push you off the cliff for a true cliff hanger! The rest of the game is still really good, but focuses more on the plot and less on the undead, in fact I think only a few were shown after the demo! 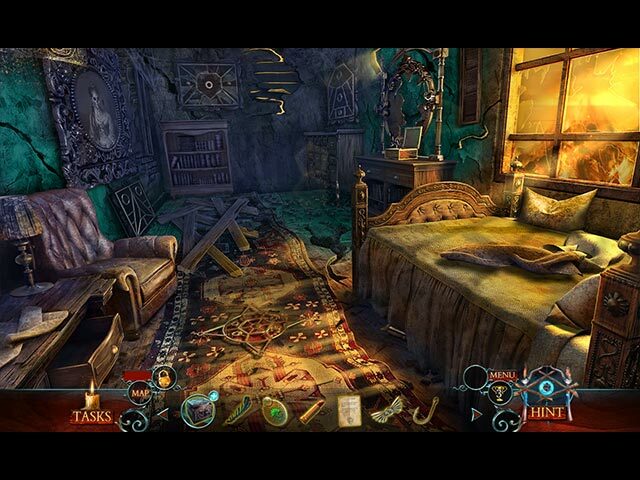 This game features Complex Plus Sign Inventory items, most of which have quick puzzles to solve, the Collector's Edition has Morphing Objects and Achievements to earn in addition. You definitely won't find any cuddly puppies, fire breathing dragons or curious kittens in this game, just you alone in this creepy little town wondering if you are alive.......or undead! The Hidden Object Scenes are all over the board, and there are several smaller HOP's within zoomed in locations. Some require multiples of items found to unlock a tool which in turn unlocks listed items, there are sketches of items to find, and even multiple morphing item finds. You can even opt for a Match 3 game in place of the HOP. My only complaint is that the graphics are rather poor in the HOP's, which I just can't seem to understand from such a great series. There are a ton of Mini Games ranging from simple puzzles where you turn rings or swap tokens to complete an image to more elaborate puzzles such as placing several round puzzle pieces with arm extensions of various degrees until all arms connect to the round tokens properly. The Collector's Edition has replayable Match 3 games, HOP's and Mini Games, the Making Of, Achievements, 43 Morphing Objects, Music, Videos, Pictures, Collectibles, a Souvenir Room, a built in Strategy Guide and a Bonus Chapter, what are you waiting for, turn off the lights and get your zombie game on, enjoy! Rated 5 out of 5 by kisifer99 from Really like this series! I have enjoyed this game well enough to start playing it over again-rare for me. I want to get all the collectibles and awards, lol. And that is high praise, indeed. These have been nice spooky titles, easy to see, fun to play, and a little more original than many on offer. Rated 4 out of 5 by Kimmycoo from A Bit Short Shorter than I would have liked, but a really beautiful game nonetheless. I have always liked this series of games. Mainly because of such beautiful scenery as you progress through! One star for the voice overs and conversation which really breaks the monotony. Two stars for the artful scenes. Beautiful graphics. Three stars for the cut scenes which really add a lot to a story line. Four stars because I liked that no HOS was repeated. You did not have to do any backtracking and each HOS was new every time. Im taking off one star because the game was a bit shorter than I like. I was very surprised when the end came.